In a world where software is rapidly evolving, how can you empower users to utilize your software to its fullest capability? What can help you deliver a technical training experience that is optimized for fast, fun, and effective software learning? Meet the virtual training lab. When it comes to delivering effective software training, virtual labs are crucial to providing the engaging, hands-on learning experiences that software users need. In 2017, TSIA released a report which examined the adoption of 18 technologies in education services. In that report, virtual lab technology ranked second highest in terms of satisfaction scores among survey participants – and for good reason. Above all, virtual training labs empower learners to learn by doing. This, in turn, provides an environment for learners to achieve higher knowledge retention rates compared to more passive learning strategies. Lower Training Costs – Virtual labs eliminate the need to maintain a physical, in-person lab, or invest substantial resources into IT. If a big part of your training budget goes to travel, virtual labs can help save on travel expenses. Improved Scalability – Virtual labs can scale to meet just about any training demand. Whether it be a handful of learners or thousands, users will receive the same, high-quality training experience. Greater Reach – As long as users have a web browser and internet connection, anyone can access a lab from anywhere to complete hands-on exercises on your software. Post-Class Access – Virtual training labs allow access outside of class for a defined period of time. This provides learners with the opportunity to really dig into course content. End users include anyone who will use a software product. Virtual training labs provide end users with a virtual, hands-on training environment that lets them experience the software they will eventually use, but in a consequence-free sandbox. To be clear, a virtual lab is not a simulation. Rather, it is the actual product, but in a non-production environment so that it is safe for users to freely experiment without affecting the actual production environment. Whether you are investing in a new technology for your team or releasing a major update of your own software, your employees likely need to learn how to use it. Virtual labs are an effective way to get your team members up to speed quickly. Because virtual labs are cloud-based, there is no need for IT to configure traditional, in-person training sessions, which can be inefficient and time-consuming. What’s more, each employee can access a software training lab from any browser, thus ensuring better user adoption and engagement. With virtual labs, your customers and partners all over the world are enabled to utilize your software anytime, anywhere. Your customers and partners no longer need to fly out to your trainers (or vice versa), or install software on individual machines. The pain of installing software on individual laptops cannot be understated, and every classroom instructor will attest to this. There’s always someone who can’t get the software installed because they have an ancient laptop or have an outdated operating system. Or, there’s someone who brings a laptop that’s locked down due to corporate software installation policies. Making a web browser the only requirement means that even the lowliest of machines can still participate in software training and harness extremely powerful servers in the cloud to do complex data analysis or processing. Another popular virtual labs use case is for sales enablement – particularly for complex software applications. All too often does the sales process get hung up because the prospective buyer can’t grasp the product or see its value due to complexity. Sure, sales teams can set up demonstrations and send out collateral, but unless the prospect gets to use the product themselves, the sales cycle may stall. After all, seeing is believing. A virtual lab solves this problem beautifully, providing the buyer with a fully functional environment of your software. Users get to take it for a “test drive” and see the value themselves. The virtual lab can also be used for larger initiatives, like conferences and summits. InterSystems, a big data software company, has been using virtual labs to accelerate product adoption with “try before you buy” experiences. At their annual summit for users and prospective customers, InterSystems sets up virtual lab stations, allowing attendees to preview and test products. 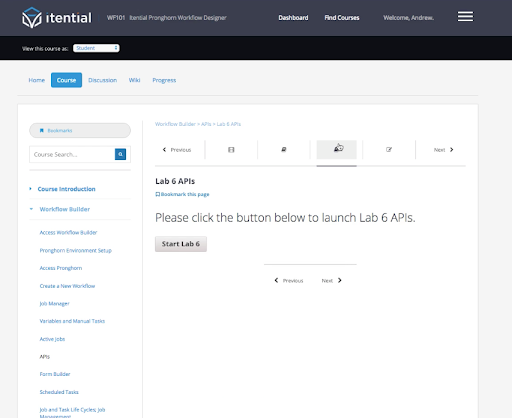 With virtual labs, prospective users can be easily engaged and converted into paying users. From product demos to online training portals, companies have the ability to give a potential user a hands-on, trial experience. This enhances customer conversion and is a fantastic method of passive lead generation. 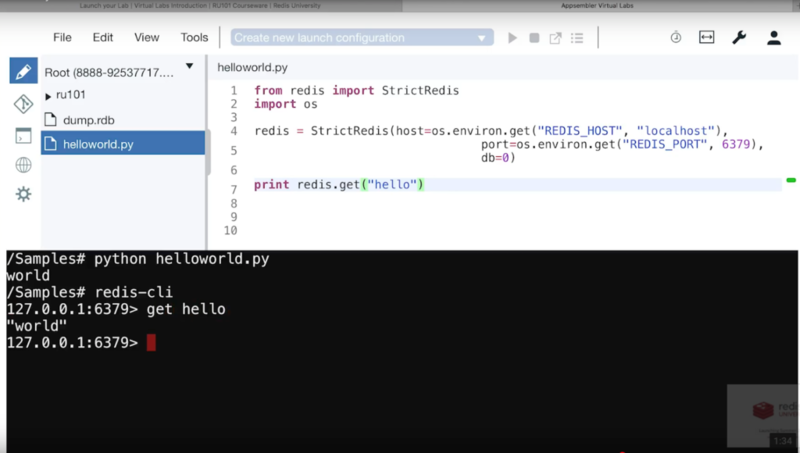 For example, Redis Labs, a database platform, launched their online training portal, “Redis University.” Redis University allows both existing users and prospective users to take online courses created by Redis Lab’s own team. This approach fosters a sense of community, embraces new users, and helps share the Redis platform and expertise with a wide-ranging audience. The online courses also give the company an opportunity to find out who their most engaged prospective users are, and pass along their information to their sales team as hot leads. Developers can similarly reap huge benefits from using a virtual lab for learning a new SDK, API or programming language without the distractions of trying to get the environment set up with all the dependencies. When it comes to problem-solving, particularly for software debugging and troubleshooting, no amount of text or lecture can compete with a hands-on experience. A virtual lab can be setup as a sandbox environment, allowing developers an opportunity to problem solve without any risk of breaking the live system. In addition, the virtual environment is an essential tool for developers who need to test the code of new software. As software continues to eat the world and learners continue to demand just-in-time, just-for-me learning experiences, the use cases for virtual training labs will continue to grow. The future of virtual labs is brighter than ever.